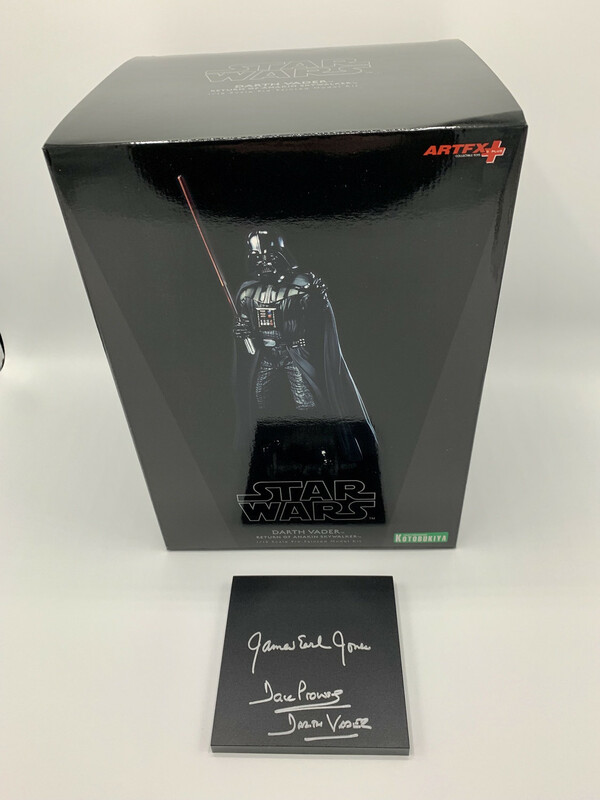 SUPER RARE DOUBLE SIGNED Darth Vader 1/10 scale figure with display base. These were bought new and the display base removed for the signing and placed back in the box. Dave and James Earl signed a few of these for in silver ink. Both Dave and James Earl have now stopped signing now, so this is a highly collectible piece.